Chances are your new apartment community has a maintenance team whose sole purpose is to keep your apartment in proper working order. Here’s the process: notice something needs fixed, call it in to the office, wait 3-5 days, greet the friendly maintenance man and watch him complete your request, repeat. But, what about the things in your apartment that aren’t necessarily an emergency, but you need them done right away? For example, the maintenance team is not going to race to your apartment to change a light bulb, but if that bulb is in your entryway and you have company on their way it might begin to feel like an emergency situation. Quit sweating, and take this advice… do it yourself! 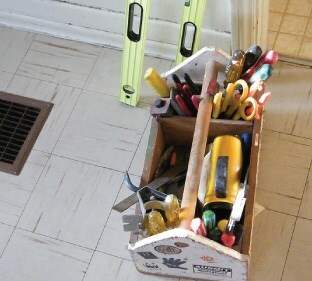 Here are 5 simple maintenance tasks you can do yourself, no toolbox necessary. Most apartment complexes change air filters for their residents on a schedule every few months. Most times every few months is not often enough. If you’re feeling like your apartment is dusty or smelling musty, open up your AC unit and check the air filter. Both sides should be the same color. If it is visibly dirty or dusty it is time for a change. Stop by the maintenance shop and ask for a filter, they’ll be more than happy to provide you one. How many renters does it take to screw in a light bulb? Just one, because you’re smart enough to do it yourself. Let maintenance worry about bigger tasks and climb up on a chair to change bulbs yourself. 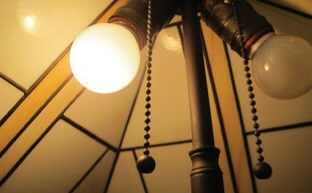 Chances are, the maintenance team will provide you with bulbs if you stop by the maintenance shop and ask. What an embarrassing work order! You have to call the office and tell them your toilet is clogged, answer embarrassing questions about how the toilet is behaving, and then stand by while a grown man cleans up your mess. All of this can be avoided if you purchase a plunger and do it yourself! 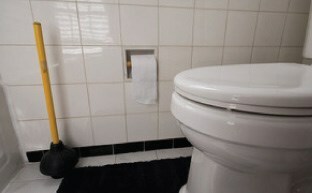 Next time your toilet backs up take the extra step and plunge it yourself before calling the office. You know how your hair dryer stops working sometimes? 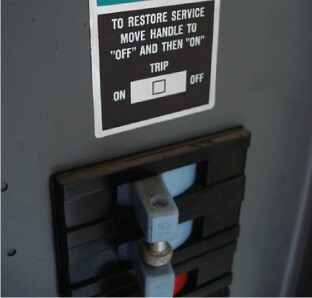 You wouldn’t dare call in a work order for that small appliance… you would just hit the “reset” button, right? Your major outlets and garbage disposal have the same feature. So, find that little red button before calling the office. The lights are out in your entire bedroom? Your phone won’t charge? Sounds like a dire emergency. Before putting in a work order, open up the breaker box in your apartment and make sure all of your breakers are flipped to “on.” Oh, your phone’s charging now? Crisis averted. Sure, this apartment is nice, but I’m sure you wouldn’t mind owning a house someday. In a place of your own, you can’t call the maintenance man to change a light bulb or plunge your toilet. Why not use the time in your new apartment to practice?